Nina Pärssinen, LL.M., has been appointed Labour Market Director and a member of the Executive Team at the Finnish Forest Industries Federation. The appointment takes effect on 5 January 2015. At present, she is the Managing Director of the Association of Finnish Independent Education Employers and also responsible for that organisation’s labour market activities. The Association of Finnish Independent Education Employers is the eight-largest member organisation of the Confederation of Finnish Industries EK. Prior to this, she worked at the Association of Social Service Employers and as an attorney at employment law specialists Työsuhdejuristit Oy. 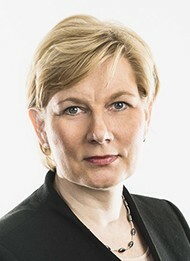 Pärssinen has also worked as an advocate and partner at several law firms. “The forest industry is in need of fresh thinking and structural reforms to improve its competitiveness. Nina Pärssinen has demonstrated a strong ability to lead labour market activities at the Association of Finnish Independent Education Employers,” says Timo Jaatinen, Director General of the Finnish Forest Industries Federation. “The forest-based sector has experienced a profound structural change and now it is time for it to build a new success story. I believe that, in cooperation with our negotiation partners, we can identify means to enhance Finland’s competitiveness and thus establish better prerequisites for forest industry production, jobs and new investments,” Nina Pärssinen says. The present labour market director of the Finnish Forest Industries Federation, Jari Forss, is taking on a position with another employer.